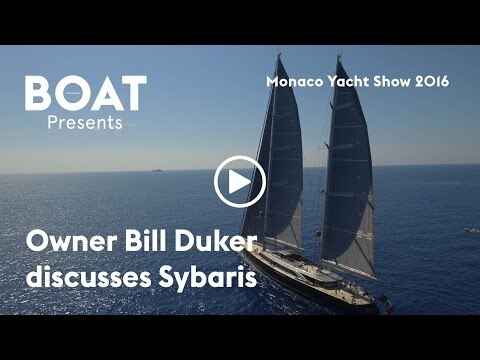 The Perini Navi sailing yacht Sybaris, one of the largest superyachts at the 2016 Monaco Yacht Show, was launched earlier this year. The 70 metre ketch is an instant icon and the biggest yacht to ever have been built in Italy. Aside from the hugely sophisticated electrical system to help with sail handling (Sybaris has a sail plan of more that 3,000 square metres split across two carbon fibre masts), the elegance of design throughout the boat is truly unique with the sleek exterior design by Perini Navi perfectly complementing the PH Design interiors.